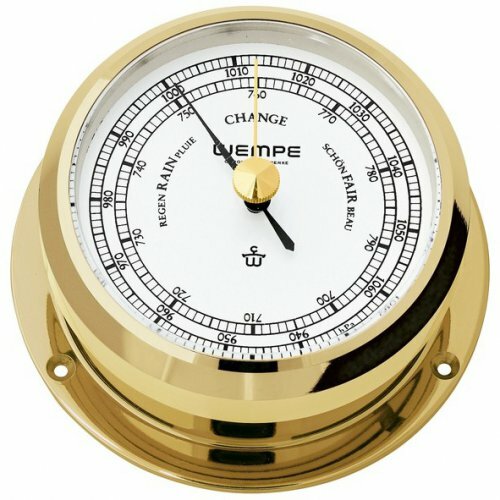 WEMPE Barometer PIRATE II in different version. Buy Now! 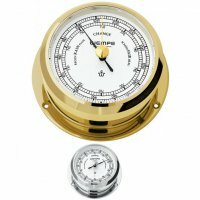 The WEMPE barometer of the PIRATE II Series impresses with simple elegance and precise measuring of atmospheric pressure which is clearly displayed on the white clock face. It is an indispensable instrument at sea, as is assists in reliable weather forecasting for up to 48 hours. The barometer is embedded in a high-quality brass or chrome plated enclosure. 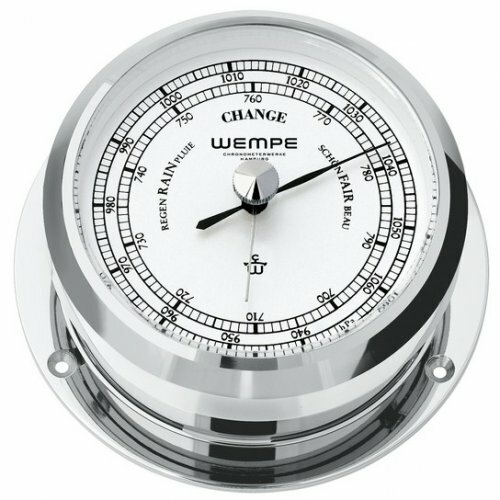 The size of this WEMPE barometer is 95mm in diameter and 36mm in height. The clock face is 61mm in diameter. Atmospheric pressure is displayed in hPa/mmHg.